Keep an eye on this page as we continue to grow to see our latest news, special offers, pet care advice and our blog posts. If you want to keep up to date with us in real-time, head over to our Facebook page. Hello and welcome to the website of Av Purrfect Pets, where you will find all that you need to know about us and about the services that we offer. 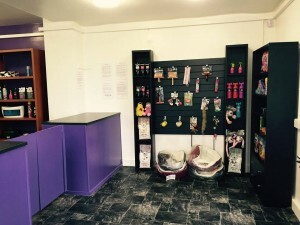 We are a Pet Salon and Spa that has just opened in the Almondbury area of Huddersfield, meaning that for standard grooming or for that extra special experience we are purrfect, and affordable too with prices starting from just £4. We offer dog grooming, cat grooming and small animal grooming – as well as a wide range of pet spa services that we have specially developed to provide your pet with a luxurious and beneficial experience. We only use the best quality, pet-safe products which will leave your pet’s fur looking shiny and smelling amazing too. 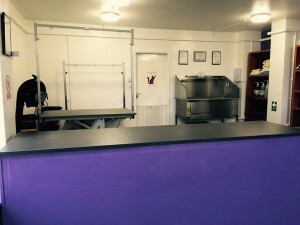 We truly care about what we do, and have developed a range of services that will suit the requirements of both you and your pet, and we put your pet at heart of everything that we do. Having worked with and trained with animals for almost the entirety of our lives, we love getting to know your pets when they come to visit us – and we do the best that we can to make sure that they feel at home in the salon. We know that pets have quirks and special behaviours that all owners grow to know and love, and here at AV Purrfect Pets, we do the same. From a Terrier that needs a groom, a Retriever that needs a specialist mud bath, a moggy in desperate need of a trim or a rabbit who could do with nails clipping – we are here to help make your pets look, and feel, amazing again. We hope to see you and your pet in our Pet Salon and Spa soon! To celebrate our opening, we have a voucher in The Examiner this November. Keep an eye on the paper, find the voucher and bring it to us when you come in to make your booking to receive up to 20% off your first groom with us. Get in touch with us today to discuss your requirements and to book. Our Modern Salon will make your pet feel right at home! With our equipment and products, we’re well equipped to help your pet look shiny and new once again!